Is it a Scam: No. It’s legit. Well, if you’ve never heard of Swagbucks, let me explain it a little to you. At Swagbucks you can earn points, or virtual currency called swagbucks to redeem for gift cards or cash. Once you have enough of these points saved up, you can then redeem them for many different gift cards for a huge number of online stores. Some of them I’m sure you’ve heard of such as Amazon, Walmart, Kohls, Best Buy, Home Depot, and the list goes on! There are just way too many gift cards to list here, you’ll have to check it out for yourself. You’ll be surprised on how many there are. Another thing I think is good about this reward site is you can also redeem your swagbucks for cash through PayPal. There are many ways to earn your swagbuck points once you sign up. You can earn swagbucks by doing things you normally do online every day anyways, such as watching videos, playing games, searching the web, answering surveys, shopping online, referrals, answering polls, reading book excerpts, and other tasks. No. It’s Free to sign up! I’m a member there and have been for about 2 years now. It’s free to join and you don’t have to pay to stay a member. There are no upsells that I’ve seen. Okay, that’s about all I can add to this right now. If I think of more, I’ll be updating this review. Is Swagbucks Legit or a Scam? Swagbucks is definitely legit! They do not promise an easy, get-rich-quick scheme or anything like that. It’s pretty straightforward on what you’ll need to do to earn the points there to redeem for whatever gift card you choose. Like I mentioned before I’ve signed up for it and I’m still active there when I have time. If you’re thinking you’ll make enough swagbuck points to be able to redeem for gift cards and PayPal to quit your job, then stop it now! I’m sorry, but it won’t be that easy. If you want to learn how you can make enough money online to quit your job then check out my #1 recommendation. 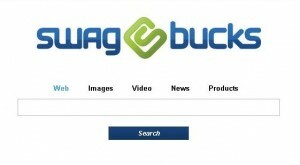 It takes a lot of swagbucks to equal a buck! So, yes, it takes quite a bit to earn much from there. But, you do earn points, which you can turn into “cash” or I should say gift cards really. Plus, they do offer some great coupons there to save you some money, and you’ll earn your swagbuck points while shopping at some of your favorite stores. 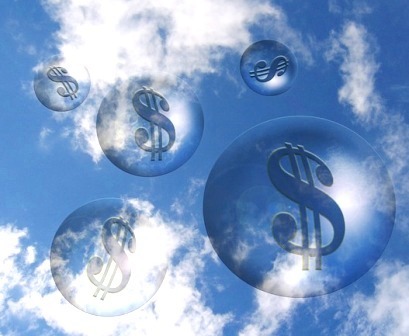 This feature does work and if you do a lot of shopping online, it could add up pretty quick. I’ve used this in the past and not only did I get 20% off, I also earned six swagbucks for every dollar I spent. Pretty cool, huh? This is just through one of their offers, so not all of them will get you 20% off and six swagbucks. It varies from store to store and if there’s promotions going on or not too. Some will get you a higher discount than the 20%, some lower and some will offer either less or more swagbucks per dollar spent. It’s something you’d definitely have to check out for yourself. Swagbucks is just something to do for fun really, although it does earn you some money in the long run. It all depends on what activities you do there, some earn more points than others, and some take awhile to complete. But, hey, it’s free, so why not? Sound like something you’d like to try? Join me here, at Swagbucks. If you have any questions or comments you’d like to share, I’d be delighted to hear from you. Let me know what you think in the comment box below.